Under the fractional roar of cannon fire , we welcome ! 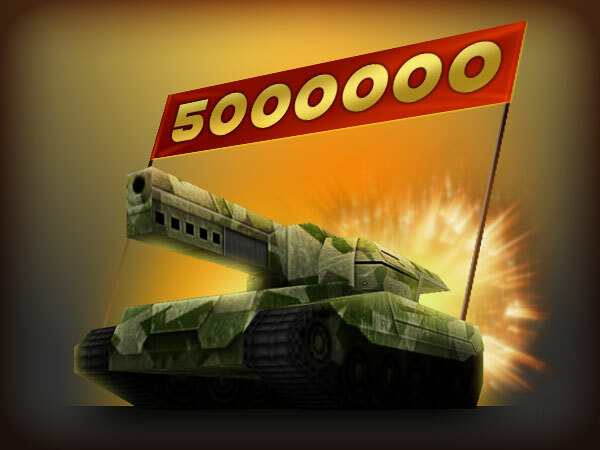 He became the five millionth player of Tanki Online. In such a momentous day, we congratulate all of you, dear friends - it's you who make Tanki Online so exciting and fun. A player who goes by the gaming name was caught in the right time and place, and is still waiting for a small gift - a T-shirt and mug with the symbol of Tanki Online. Let's congratulate each other.